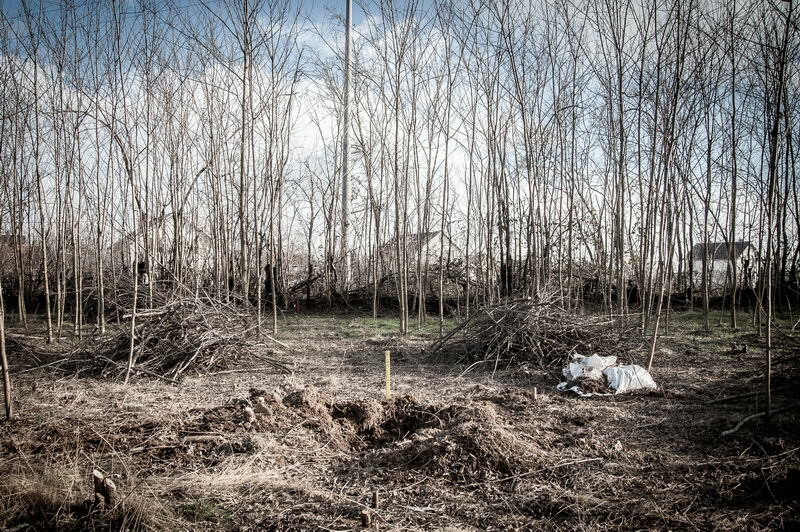 The yellow stake marks where a landmine was found and deactivated near the village of Kryshec, the most contaminated area in Kosovo. During the Kosovo War, NATO dropped 1,392 bombs containing 295.700 sub-munitions on the country. An estimated 20 percent of those munitions didn’t detonate. Although in 2001, the UN declared the zone land-mine free, since then, over 100 people have been injured and hundreds of rural families are still unable to cultivate their own land. An estimated 60 minefields remain to be cleared, hopefully 2020.